From strategy to execution, we cover the full breadth of marketing services that bring your brand’s identity to life. You’ve invested in building a strong brand. Now it’s time to spread the word – and it starts with understanding your customers. Here’s where we develop the game plan to strategically reach your target audiences – meaning maximum results for your marketing efforts. Looking ahead with your business goals in mind, we’ll start by assessing the market, your competitors, and your customers. As we research, we’ll apply our innovative creativity and marketing expertise to the data we’ve uncovered about your audience. 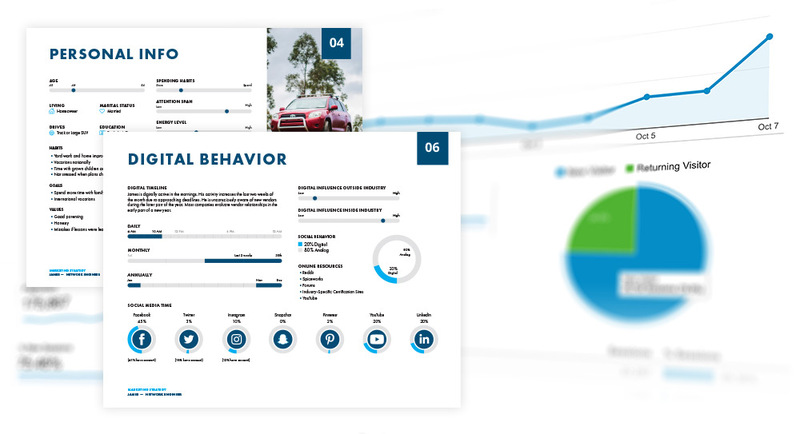 Our insight will help us outline the defining traits of your target customers. We’ll then map out a plan to successfully engage each persona with strategic messaging that resonates in the most effective way, at the most effective time, and in the most effective place. With high-level rules in place to guide strategic marketing activities for each audience, your business will cruise down the perfect pathway to grow your brand and achieve a sustainable competitive advantage in the market. 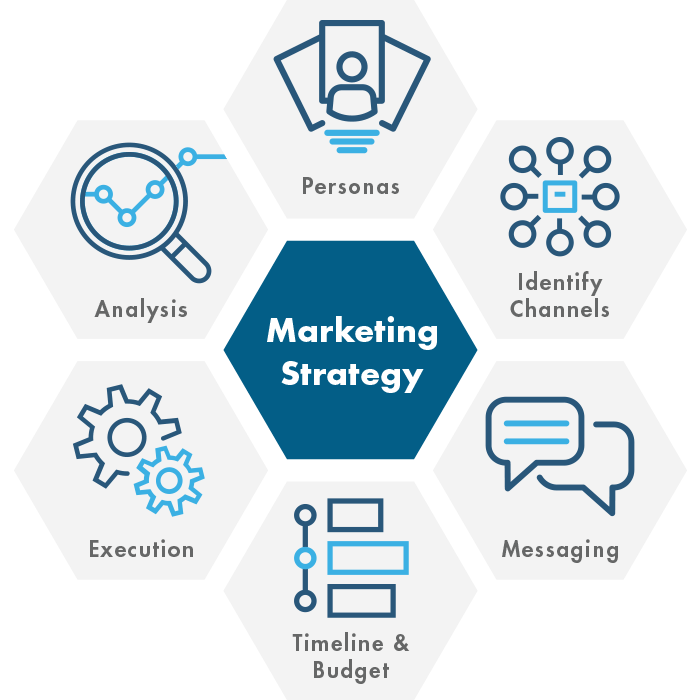 Our experts in strategy, creativity, and technology fuse with your marketing team to execute on your marketing goals and guide your business to growth.